We all embrace one thing; Dubai is the most exciting place to Dine Out. With over 150 nationalities living in Dubai, the Dubai Food Festival exposes the multiplicity, diversity and creativity in culinary arts. Dubai Food Festival is the only large-scale food festival celebrated in the Middle East. It is Held every year, to celebrate and explore Dubai’s potential of becoming a gastronomic destination. 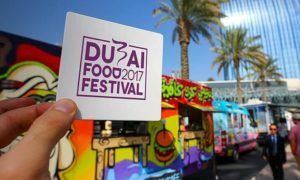 The food festival brings a variety of colorful and exciting food events, competitions, and promotions, highlighting Dubai’s unique food scene, its personalities and its world-class dining experiences. The event is a winner spot for restaurant business owners and hospitality industry. Dubai Food Festival is managed by Dubai Festivals and Retail Establishment (DFRE), an agency of Dubai’s Department of Tourism and Commerce Marketing (DTCM). It develops a year round up strategy of citywide festivals that contribute to increase the growth tourism and hospitality sectors in Dubai. The Dubai Festival 2017 is underway as it started from 23rd February and will end up on 11th March. This year’s Food festival is more exciting and more energetic because of the romantic Dubai weather and the increased number participants. As only Nine days are left in the event, we hope you are enjoying it to the fullest. However; if you have missed it, don’t worry, there is still much time for you to relish and we are here to help you out. The most popular blaster of the festival “Etisalat Beach Canteen” is located at Sunset Beach behind Sunset Mall (five minutes of walking distance). Canteen is a complete package as it is offering the best dining experience at a reasonable cost along with entertainment beach hot spots. In addition to appetizing foods, expect amazing experiences which include a food trucks line-up, celebrity chefs, home-grown restaurant concepts and fantastic family-friendly activities. The canteen will go till the last day of festival i.e. 11th March and is open from 12pm to 10pm on Weekdays and from 10am to 10pm on Friday and Saturday. Etisalat Beach Canteen is a suitable for all ages, and there is no requirement of tickets or pre-registration and is absolutely free to attend. The beach is also providing a series of daily fitness classes throughout the 17 days, including workouts like high-intensity STRONG by Arwa TM, energetic Zumba, and mellow forms of yoga by the Art of Living, so that you burn off every calorie that you gain in the festival. Etisalat Beach Canteen will also present open air paint sessions, art installations curated by Mont8 and a colorful Dubai Sky Carnival. Taste of Dubai is yet of come. It’s a three-day event that will start on March 9 with an exclusive concert of the Living Legend Billy Ocean and will last on 11th March. The event will be held at Dubai Media City Amphitheatre. The event is suitable for all groups of ages and Entrance fee is only Dh75 per person if you buy tickets online, however; you will have to Dh90 if you buy it on the door. The taste of Dubai is an exciting opportunity to meet celebrity chefs like Reza Mahammad, Luke Thomas, Gary Rhodes, Aldo Zilli, Eric Lanlard, Michel Roux Jr., Mohammad Orfali, Tarek Ibrahim, Jenny Morris and Joshua Stanzl. Also, 22 top of the line restaurants are participating in this momentous food event. Aubaine, Abyat, Big Easy Bar & Grill, Burger & Lobster, Carluccios, Carnival by Tresind, Catch, Cook Hall, Cucina, Fratelli La Bufala, GRK Fresh Greek, J&G Steakhouse, Lucky Voice, Namu, Olea, Ramusake, Royal Orchid, Sonamu, Spice & Ice, Teatro, The Gramercy and Weslodge. Enjoy authentic food prepared by home-grown food truckers by Marasi Business Bay where you can select street food from around the world served from 19 local food trucks. Ticket Prices are Dh40 in advance and Dh50 at the door, it is suitable for all ages so bring your family and friends to this new Dubai destination that is located along the Dubai Water Canal. The event will start on 9th March and will end on 11th March. The main objective of Dubai Food Festival is increasing the opportunities for the restaurant business. It has opened new doors for investment. Gurus predict that the restaurant business is on a continuous rise and will increase dramatically in the coming years. As the competition is getting tough by each passing day, this is the best time to open a restaurant in Dubai. Our team at Riz and Mona is providing specialized consultancy for restaurant setup in Dubai. Feel free to contact us anytime; we are looking forward to hear from you. Your website is very informative, Keep it up!! Wonderful information, thanks a lot for sharing kind of information. Your website gives the best and the most interesting information. Thanks a ton once again! Wonderful information, thanks a lot for sharing. DFF 2017 has been a great experience. 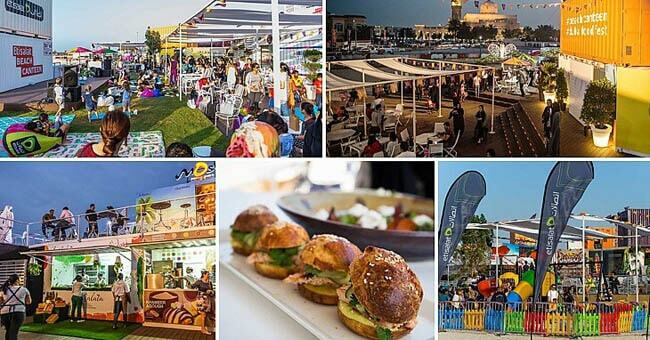 Dubai Food Festival is back again in 2018 with more entertaining activities and yummy food. This year, it looks like there are bigger food deals and prizes. Wonderful information, thanks a lot for sharing this kind of info. Dubai food festival is truly amazing and wonderful event. Love you Dubai!